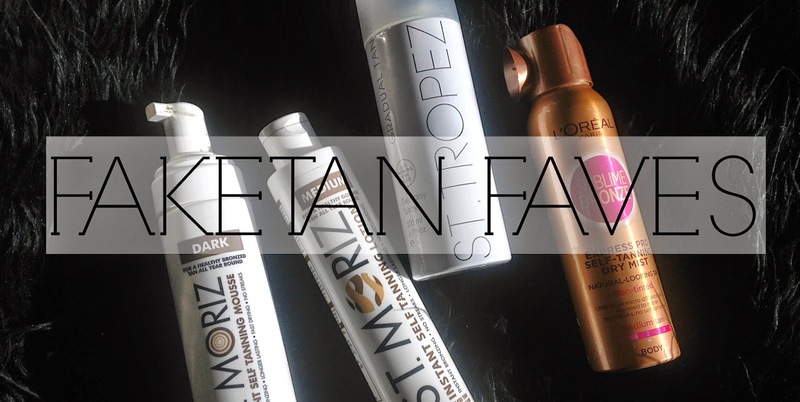 Yes, you read that right, Pale Paigey has converted to fake tan and she even has a few favourites! Never thought I'd see the day where I'd using tan but after seeing a photo of me on a night out a few weeks back and how I ever so nicely blended into my boyfriends WHITE top - it was time to tan. My younger sister is a pro and she's been using the St. Moriz Instant Self Tanning Lotion in Medium for as long as I can remember. I really like it, its easy to apply because it leaves behind a stain so you can see if you've missed any parts. It blends easily, drys instantly and the colour once it's washed off is stunning but the tan doesn't last that long for me. Within two days or so its started to fade big time. Good for a quick fix though. Next onto the L'Oreal Sublime Bronze Express Pro Self-Tanning Dry Mist in Medium. I adore the colour of this tan so much, it's a lovely brown colour without looking orange. My only criticism of this tan is the mist isn't tinted which after spraying yourself, allowing the tan to develop and then four hours later realising you've missed a huge patch on your arm isn't the greatest feeling. Pretty please L'Oreal can you bring out a tinted spray please? The St. Tropez Gradual Tan Everyday Spray is lovely for a natural looking tan. Like the Sublime Bronze tanner, this tan doesn't have a guide colour but regardless of that, I haven't come out patchy. It gives a tiny amount of colour but this does slowly intensify if you use the spray everyday for a little while. Perfect when I'm being too lazy to tan properly. 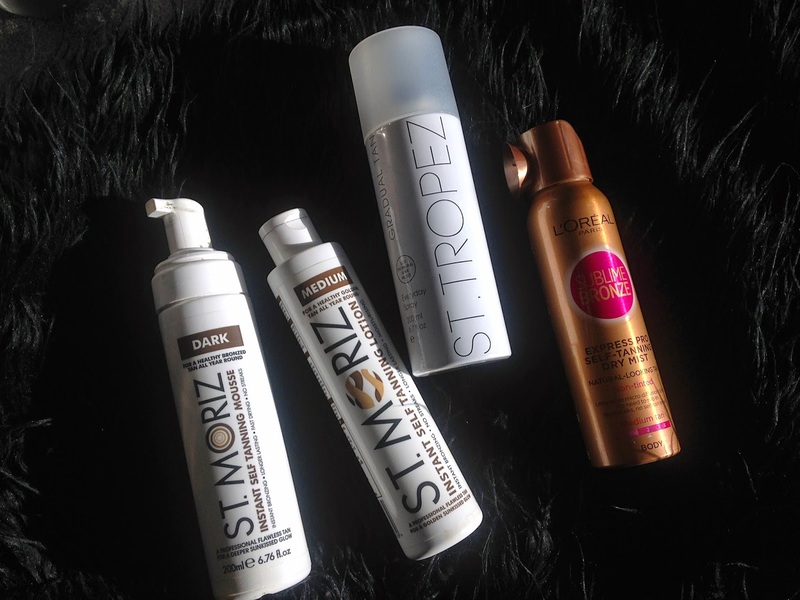 One tan that trumps everything for me is the St Moriz Instant Self Tanning Mousse in Dark. Unlike the St. Moriz lotion, this colour seems to last up to a week on skin without looking patchy or streaky. It is a tinted mousse so you get a guide colour which is super easy to blend and dries quick. I love the colour of this so much as it's dark but still doesn't look fake.